Our CS:GO best launch options page contains a list of all the best launch options, how to use them and the ways they optimise the game. 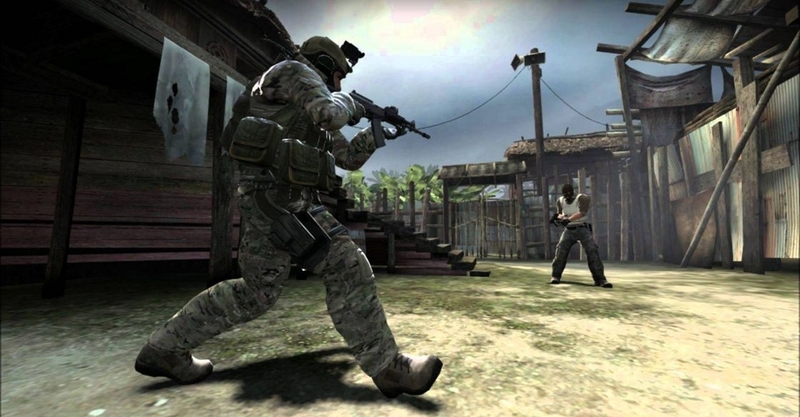 CS:GO's not your ordinary shooter. It's ridiculously unforgiving, has a boundless skill-ceiling and requires some serious strategic nous if you want to climb the ladder. With this comes a level of customisation which enables you to tweak and personalise almost every aspect of the HUD to fit your chosen playstyle. This level of customisation even allows you to change a number of launch options, accessible through the Steam menu. Pop some console commands into the box and you can permanently alter the way the game starts up, as well as a few other things too. Everything from graphics options to client language and even skipping the initial loading screen is possible. Of course, you can do some more in-depth stuff, like setting frame rates and optimising your CPU usage. Below we've put together a list of essential launch options which will make your game run a little smoother and eliminate much of the clutter the default version ships with. Head on over to Steam. Right click on CS:GO and select “Set Launch Options”. The small box will be where you input console commands we've outlined below. This video by Luxhero_ is well worth a watch! Annoyed by the Valve cutscene that plays every time you boot up the game? Input this command and it will never play again. As minor as it sounds, it's a great way to get into a match more quickly. Useful if you want the console to open automatically when loading up the game. This means you’re always ready to set console commands from the get-go if there are ever any changes you feel like making. As the names suggest, these options load the game in fullscreen or windowed mode, and you can even remove the borders around a window if you'd like. This next setting tells your PC to prioritise CS:GO over everything, which means that background tasks won’t affect the game's performance. This command tells the game how many CPU cores your PC has to further optimise performance. Make sure you double check how many you’ve got (likely 2, 4 or 8) and add the number after a space. We’ve labelled where you should place the number as “x”. This forces CS:GO to load textures automatically when you load into a map, instead of loading textures as and when it needs them. This should give a small bump to your overall FPS performance. Useful if you want to force the game into using another language, for practice or otherwise.